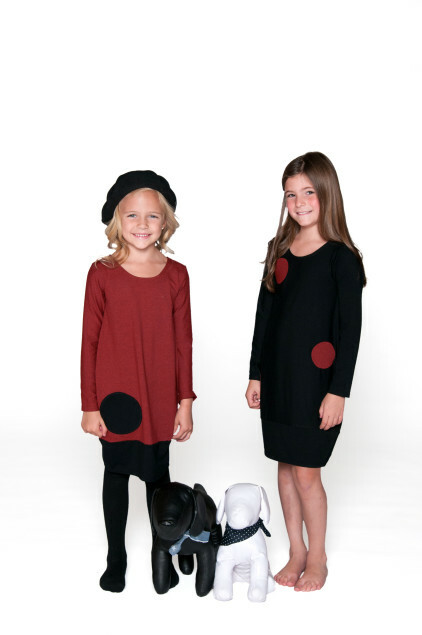 The charming earthy red rayon knit dress features elegant long kimono sleeves, a black bottom band and is adorned with one large black dot. Combining playful comfort and classic European elegance, Little Julia is sure to become an all times favorite. Match mom in Steph or Agate, or coordinate with sisters and best friends in Little Agate or Little Steph and you will be a stunning star turning heads at the playground, at school and at any special occasion this season!